It’s almost the end of October already, and before you know it, winter will be here in full swing (when did that happen ?!). The leaves are turning and falling and the sidewalks will soon be paved in yellow and orange. The trees are setting themselves on fire and the days are getting shorter and colder. It’s the perfect time of year to get away, if you can. A weekend in nature is refreshing and will help you get into the spirit of the season – and be ready for all the pumpkin carving and festivities of Halloween! I think the Builford Travel Duffle Bag is one of the best short trip bags I’ve had. Even if you don’t have time for a weekend trip to marvel at the leaves, it’s perfect for business trips as well, or any short term voyages. The interior space is ample enough even for a week away if you pack light, or the family for a weekend trip. Removable compartments help you keep everything organized, and the side pockets can hold special or fragile items. The shoulder strap is fully adjustable and the beautiful leather carry handles are durable. 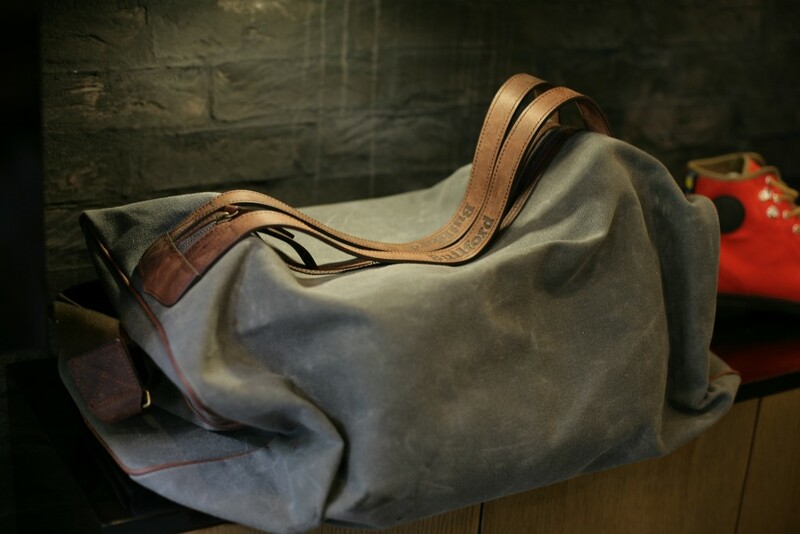 Additionally, like all Builford products, the Travel Duffle Bag is made of waxed canvas, which is a durable, tough, and waterproof fabric by nature. That means that your bag will last a long time and can be taken into the mountains just as easily as to the Hilton. As a plus, the waxed canvas and leather combine to create a luxury vintage style that is appropriate for all occasions, formal and casual. Wherever you are going, the Builford Travel Duffle Bag is a great companion. You could also take it as a carry-on for a longer trip. It’s not overly bulky, but still substantial and big enough to hold everything you need. As a note, if the duffle style isn’t your thing, Builford has a number of large backpacks and rucksacks that are more than appropriate for travel bags, all with the same class, sophistication, and durability that is Builford’s trademark. 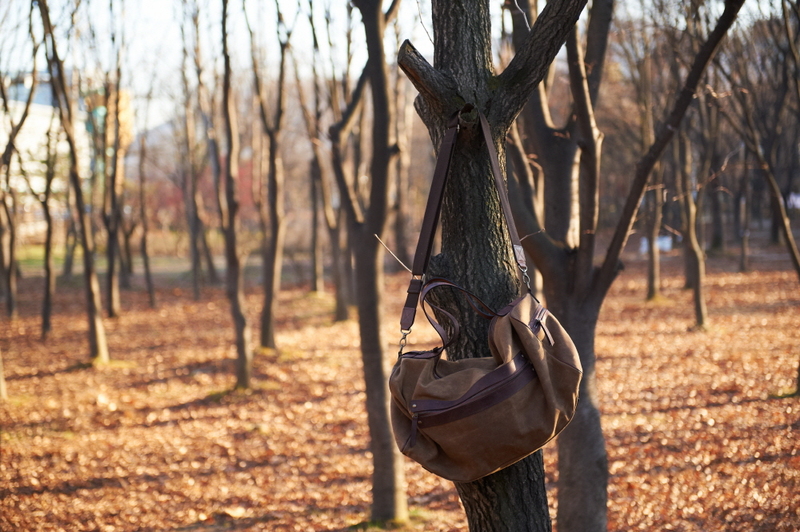 There’s something old-fashioned about Builford bags, and that vintage style fits into fall like it was meant to be there all along. As you can see in the picture at the top of this article, the Brush Brown color even matches the color of the leaves! Be it business trips, weekend trips, day trips, or any of the above, make sure you bring the Travel Duffle Bag with you. To find out more or order online, you can visit www.builford.com, and get the bag shipped straight to you! 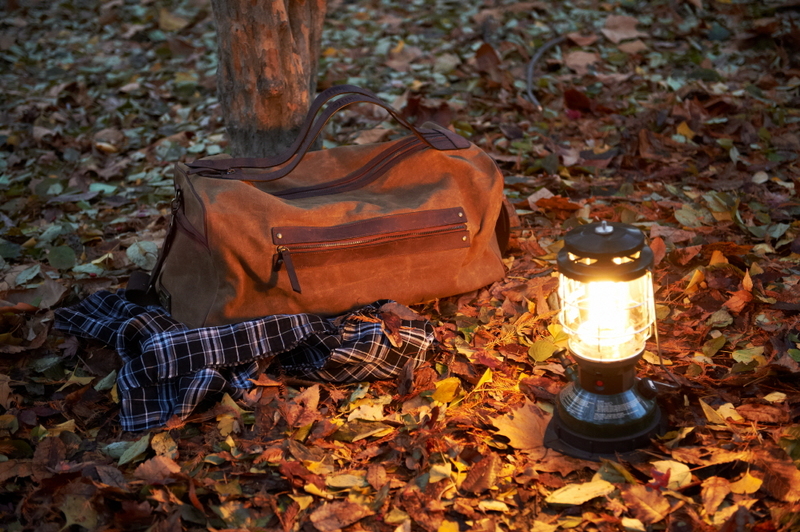 Share the post "Travel Duffle Bag for Fall"
Posted in Fashion Review and tagged travel bags, travel duffle bags, traveling backpacks, waxed canvas bags, waxed canvas travel bags, waxed canvas travel duffle bags. Bookmark the permalink.